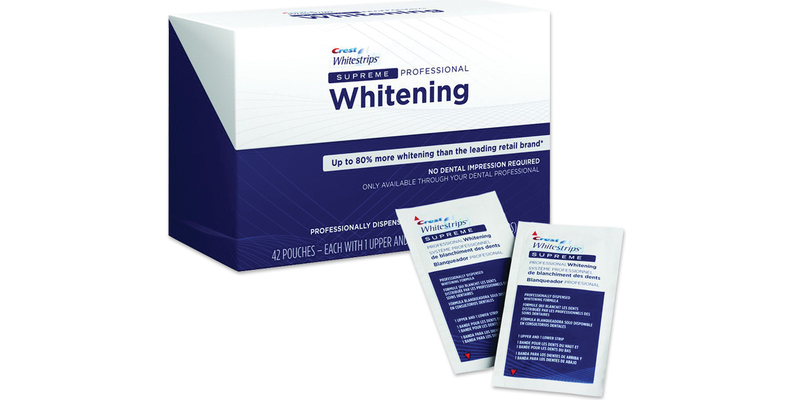 Professional grade, ready-to-use whitening strips with 14% hydrogen peroxide—the highest concentration available in a professionally dispensed take-home whitening product. An easy solution for patients who want whiter teeth, without the cost or hassle of impressions and trays. Ready-made strips can be worn anywhere, at any time of the day. Delivers a consistent, controlled dose each time. 1Data on file at P&G. Contains: 42 pouches, each containing 1 upper strip and 1 lower strip.